Make a statement with this eye-catching and head turning bouquet! 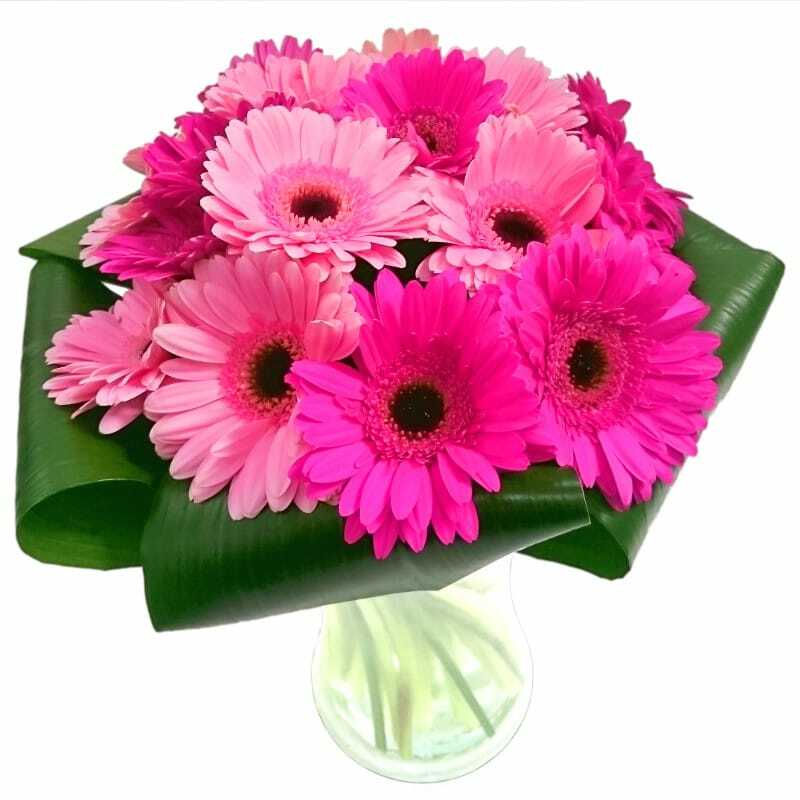 The Gerbera Gem Bouquet is packed full of vibrant cerise and pink germinis, hypericum and lush green foliage, all carefully arranged by our expert florists so they arrive ready for you to pop in your own vase. Whether you are searching for an extra special birthday gift or are celebrating an anniversary, the Gerbera Gem Bouquet is sure to go down a treat. Show that special person how important they are with the Gerbera Gem Bouquet - beautiful gerbera for only £29.99 including standard delivery to any address in the UK! Have these flowers delivered 7 days a week throughout the UK. Your flowers will be delivered in our special delivery box to prevent damage while in transit, so they arrive in excellent condition all for just £29.99! For that extra special personal touch, why not a box of delicious Lily O'Briens Chocolates, a cuddly teddy, a chic glass vase or a Handwritten Card to say thankyou. We have many more arrangements containing gerbera and an array of different gift sets to suit every occasion. Go Deluxe! Choose this option and our expert florists will add 50% more beautiful flowers for just £5.00!